We seriously pursue efforts for the fulfillment of our cooperate motto. 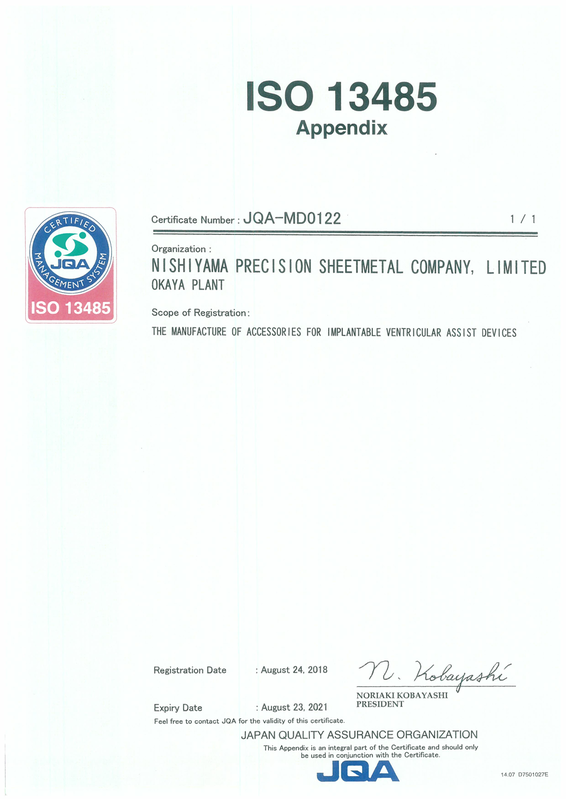 1984 Changed the corporate name to “NISHIYAMA PRECISION SHEET METAL Corporation Limited”. 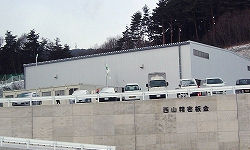 September 2012 Granted a business license for medical device manufacturer (Number: 20BZ200057). 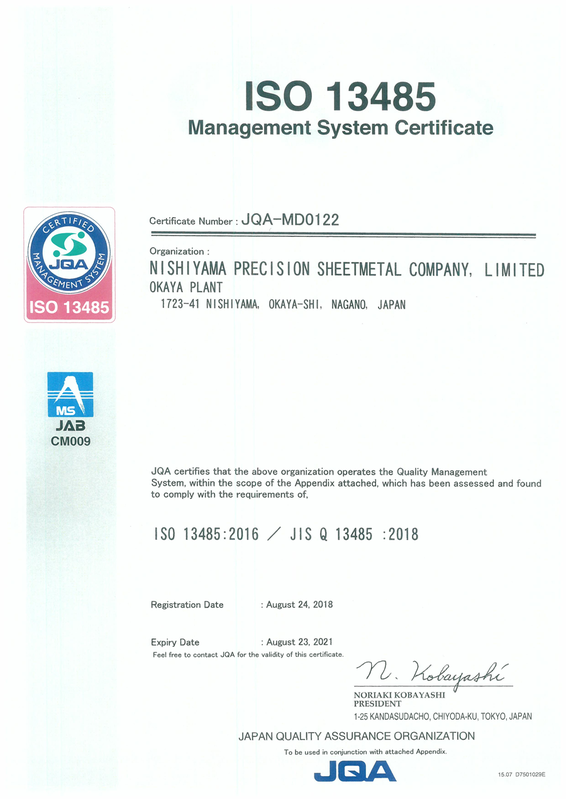 We acquired ISO 13485 quality management system for medical equipment.